ROA identified two issues for the council to consider. First was to get clarification of the standards the exchange was using to validate veteran status for being able to shop online. Earlier in 2017, the Exchange decided to allow veterans who were discharged with an “honorable” or “general under honorable conditions” to be allowed to shop online. To qualify for this new benefit servicemembers must go to VetVerify.org and complete a verification form. The form will be validated by the Defense Manpower Data Center (DMDC). ROA’s intent is that RC members can smoothly qualify and engaged the council on this concern. The council responded by arranging for ROA to review the verification documents to make sure they include National Guard and Reserve records. The second issue addressed by ROA was on military technicians in support positions who will be converted to a non-dual status civil service position. This Congressionally directed 20 percent reduction will occur on 1 October 2017 and affects approximately 15,000 technicians. Since many of these people currently wear their military uniform to work, ROA is concerned that they will now be required to obtain a civilian wardrobe. Essentially everyone enters the workforce needing a work wardrobe, and these individuals entered their position expecting the military uniform to be their work wardrobe. ROA asked the Exchange staff for discount coupons to help technicians afford their new work clothes. ROA believes this will be especially beneficial to those in the lower rated military and civil service positions. The council responded enthusiastically to the suggestion and ROA is working to make this happen. ROA attended a meeting at the Pentagon concerning Reserve Component duty status reform. DoD senior leaders explained they have constructed a proposed structure for duty status that would reduce impediments to service including inequities in pay and benefit, disruption in pay and benefits, and reduced accessibility. The duty status proposal currently includes four categories with eight activation authorities that encompass operational, strategic and training statuses. This construct, if implemented would allow DoD to standardize benefits into four levels for each of the four categories. The complexity of this duty status reform may include changes to over 450 laws, 120 DoD issuances that will drive additional changes within the service regulations and over 1,000 changes in the financial management arena. Detailed legislative changes are expected in Spring 2019. ROA, EANGUS, NGAUS, FRA, AUSA and the Navy League agreed with DoD that a phased-in approach was best to reduce disruptions to servicemembers. An incremental approach will also allow the services and stakeholders to identify unintended problems or consequences that can be addressed before laws and regulations are finalized. ROA appreciates DoD's transparent approach to duty status reform. The cyber mission is still in the process of being established in the Army National Guard but that has not stopped them from lending support to Army Cyber Command. 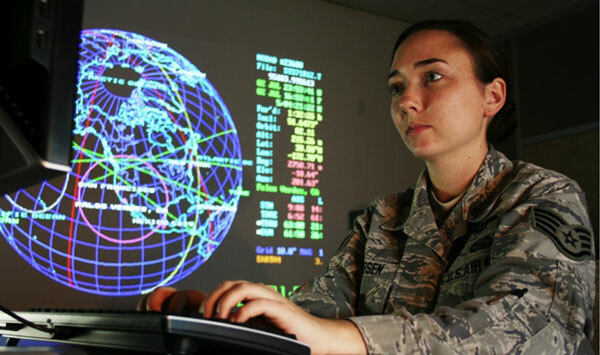 The largest cyber mobilization includes 138 National Guard members from seven states. Col. Adam Volant, Task Force Echo commander said, “The Soldiers in my formation are really information technology professionals. They work for major defense companies. They work for the government. They work for all the major brands that do technology and cyber. We're drawing upon those sets of experiences in bringing them into a military environment to weigh upon the problems presented here." 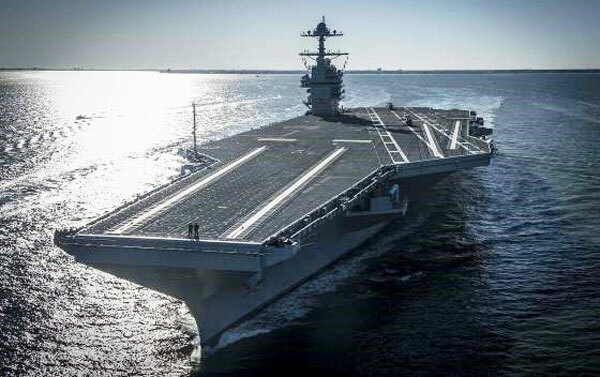 U.S. Navy Commander relieved of duties – but why? 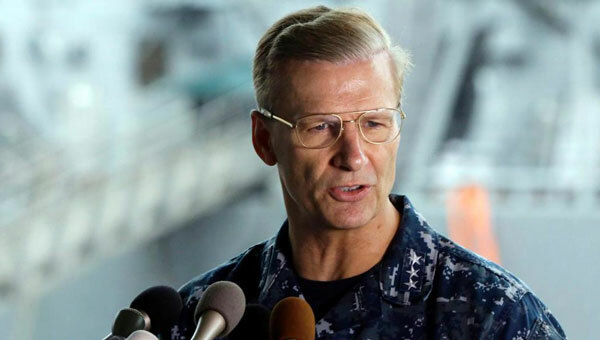 U.S. Navy Vice Adm. Joseph Aucoin, commander of the U.S. 7th fleet has been relieved of his duties after two fatal ship collisions within two months. Aucoin had planned to retired in a few weeks, but Admiral Scott Swift of the U.S. Pacific Fleet relieved him early due to a “loss of confidence in his ability to command.” Rear Admiral Phil Sawyer will replace Aucoin. Aucoin was a Navy flight officer, commissioned in 1980 from the University of North Carolina’s Naval Reserve Officers Training Corps program. He was an air wing commander in the Navy, and later worked for the Pentagon. The 7th fleet that he was in charge of commands 70 ships, 140 aircraft, and 20,000 sailors. It is headquartered in Japan. Notwithstanding Admiral Aucoin’s own use of that devastating phrase to describe his reason for relieving the skipper and top leaders of the USS Fitzgerald after its June collision, why was an otherwise well-regarded senior officer, in whom the nation has invested decades of developmental resources . . . sacked? The Marine Corps has acquired a program, the Indoor Simulated Marksmanship Trainer III, to enhance the sharpshooting skills of the military branch. 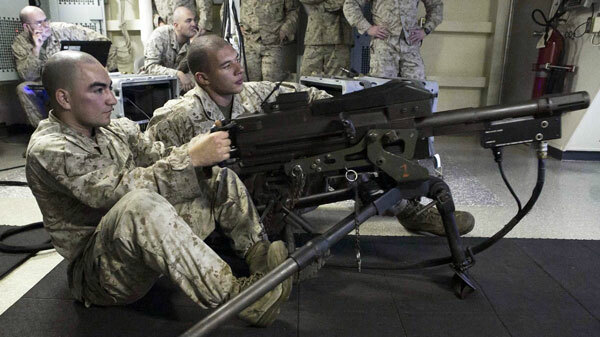 Marines will now have access to multiple weapons including: the M9 service pistol, M4 carbine, and wireless weapons, including the M27 Infantry Automatic Rifle, M32A1 Multi-Shot Grenade Launcher, and the M72 Light Anti-Tank Weapon. The system also boasts 3D projections and features to give Marines a better, more realistic training experience. The system will help to build muscle memory for Marines so that when they go to the range, they are prepped to respond to real-life scenarios, without costing millions of dollars. 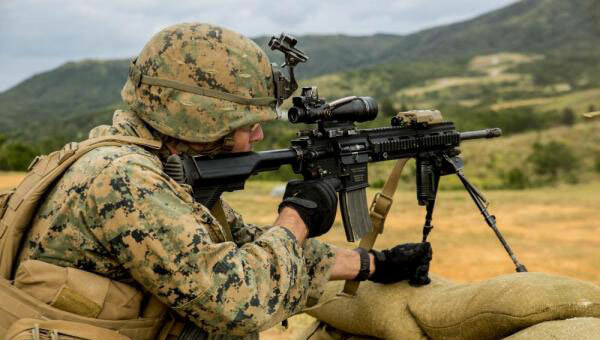 US Marine training with the M27 IAR in Okinawa, Japan. Photo courtesoy of the U.S. Marine Corps. The Marine Corps is requesting 50,000 M27 Infantry Automatic Rifles to replace the M4 carbine that infantry and other units currently used. This increase in rifles would be in addition to the 11,000 already ordered. The initial 11,000 was to replace the M249 Squad Automatic Weapons (SAW) in the Marine service, with the SAW placed in reserve. 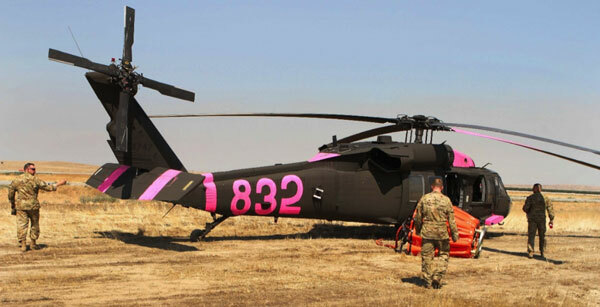 The National Guard provided assistance with UH-60 Black Hawk helicopters from the California and Louisiana National Guard in July 2017 to support firefighting operations when fires began in Yosemite National Park. Senior Airman Kevin Greene, a healthcare management technician with the 920th Aeromedical Staging Squadron, jogs along the running track at Patrick Air Force Base, Florida, Aug. 8, 2017. 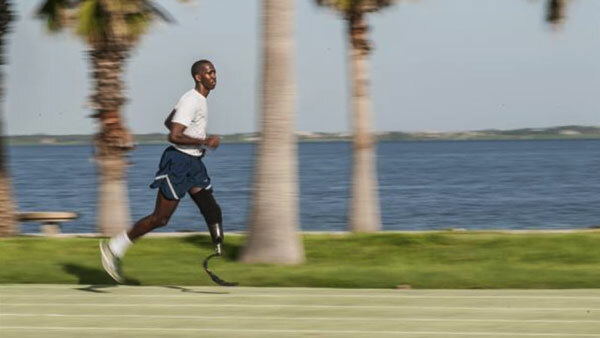 Greene, who lost a portion of his left leg in a motorcycle accident on Dec. 17, 2014, is the first and only Air Force Reserve amputee to serve at Patrick AFB. (U.S. Air Force photo/Staff Sgt. Jared Trimarch). 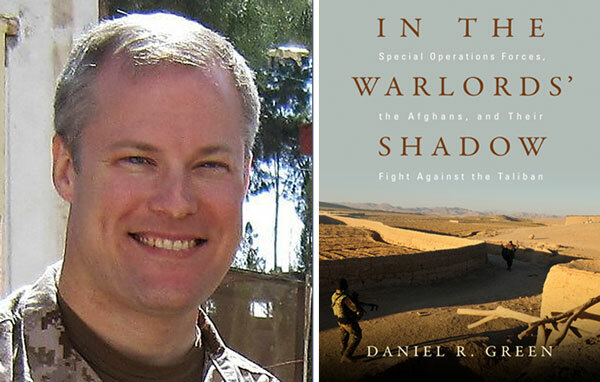 Daniel R. Green, Ph.D., is a Navy Reserve officer who holds a doctorate in political science and is a defense fellow at The Washington Institute for Near East Policy; an ROA member, he is an authority on stability operations in Iraq and Afghanistan. ROA’s Reserve Voice asked Daniel to answer some questions in connection with his new book on the successful Village Stability Operations/Afghan Local Police initiative in which he participated in 2012. ROA: Lieutenant Commander Green, as a Navy Reserve officer you have deployed several times to Afghanistan and Iraq. Could you summarize your military background? Department of Missouri Chapter 442’s, Brig. Gen. Sam Mitchell, USAF (Ret.) sent the application and payment for a life membership for former Air Force Capt. Charles Ohms, Jr., of St. Louis. We welcome Captain Ohms to ROA and send General Mitchell, one of ROA’s top membership recruiters, the thanks of our growing association! His ROA lanyard proudly displayed, Dept. of the Golden West’s secretary, Capt. 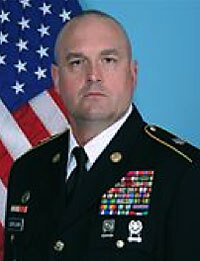 Jerry E. Kromrey, USAFR (Ret. ), speaks August 23 on a possible federal government shutdown and its effect on force readiness and the reserve force, at a town hall in San Jose held by Rep. Ro Khanna (CA-17), a member of the House Armed Services Committee. 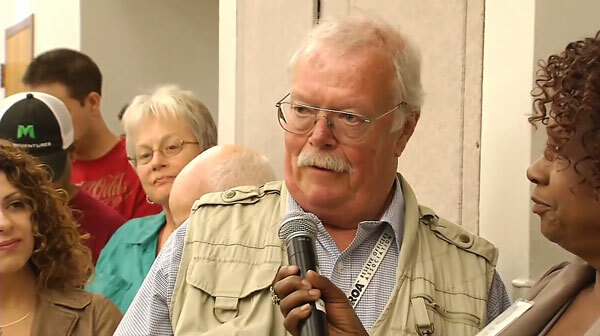 The frame is from ABC-7 News coverage of the town hall, where Captain Kromrey posed his question. Membership director Diane Markham is overseeing a revision to the ROA website, that will showcase ROA’s value to new and renewing members. Look for the new “What ROA is doing for you” feature on the home page. It will have links to ROA recent and past accomplishments, legislative and policy successes, member benefits such as the annual Henry J. Reilly Scholarship Program, and more.